From mossy mounds to towering ramparts, hillforts are woven through our landscape, vestiges of an age of warriors, sacrifice and ritual, of civilising progress and murderous retribution.  They are one of the most common archaeological monuments in the country but exist in our minds only dimly, part of pre-history, where no written source can offer illumination. The Iron Age is the domain of archaeologists, who excavate sites and interpret what they discover. Defended hilltops are known from the Neolithic period (c3000BC) onwards, but it was the Iron Age (c800BC – cAD60) that witnessed the main construction of hillforts. They appear in different shapes and sizes, from small homesteads of under an acre to enclosures of over 200 acres. The majority occupy between one and 30 acres. AHA Hogg’s 1979 survey identified 3,840 sites. Hillforts sit in well-defined location: across most of the south, the Welsh marches and the West Midlands. Cheshire has a significant number but there are few beyond. 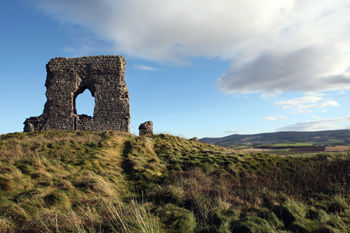 North-east Yorkshire and Northumberland have spectacular examples and there are some on the Isle of Man and in southern Scotland. Hillforts on the Atlantic west coast, which has more in common with Brittany than with Hampshire, tend to be more prolific, smaller and made of stone. There are 294 in Devon and Cornwall and 282 in Dyfed. Venture east and England becomes part of the northern Continental system, with softer rock, agricultural land and a drier, colder climate; its people were more in touch with the Gauls and Europeans than their western neighbours. 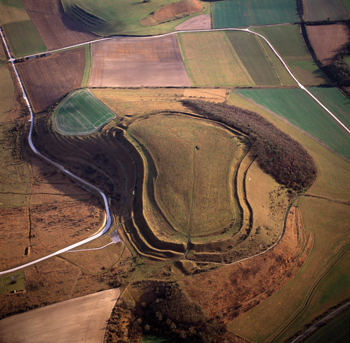 The hillforts of Wessex, the Welsh marches and the south-east are more complex and larger, and include the well- known Maiden Castle in Dorset, Danebury in Hampshire and South Cadbury in Somerset. This dichotomy, geographical in nature, lasted from the Iron Age into the 15th century. Indeed, linguistically, traces remain. Two types of hillfort are most common: the contour fort, with a bank and ditch dug along the contour line surrounding a knoll of high ground; and the promontory fort positioned on a spur of land with natural defences. There are also forts situated on plateaux and in valleys with man-made defences, and some hill-slope forts that lack defensive positioning and were probably used for stock. They were defended by ramparts. The banks and ditches we see today are all that remains of these structures, along with the post holes that indicate how they were constructed. A univallate consists of one banked- and-ditched enclosure, a bivallate has two lines of defence, while multivallate describes three or more. This system of defence grew from the Bronze Age ditch-and-bank structure topped with a palisade to become more substantial during the Iron Age. About two thirds of the hillforts in England and Wales are univallate but, as sites developed, more defences were added, particularly to larger hillforts. Ramparts were made of timber, stone or earth, whichever was readily available. A box rampart consisted of a double line of posts, approximately three metres apart, held to-gether by horizontals. In this type of construction, called lacing, the soil dug from the ditch was deposited inside the rampart and then topped with breastwork. Those mossy banks take on a new character when you picture them as part of such a sturdy structure. As wood rotted, eventually the back line of posts was abandoned. In about 350BC the glacis rampart appeared. The soil from the ditch was dumped on the side of the bank, forming a bed of scree that attackers would have to scramble up to reach a palisade at the top. The V-shaped ditch and bank is typical of Iron Age hillforts. The Iron Age workforce built these structures with antler picks and wooden spades, using baskets to transfer the rubble and soil. James Dyer in Hillforts of England and Wales estimated that at Ravensburgh Castle in Hertfordshire a rampart 14 metres high around a perimeter of 1,190 metres called for 19,040 lengths of timber in its construction. With these basic tools it would have taken 175,045 man-hours to complete, which equates to 109 days for 200 men. Only structures of importance would command such labour. Eric Wood in Historical Britain estimated that it would take 150 men about four months to fortify an eight- acre enclosure with a single bank and ditch. 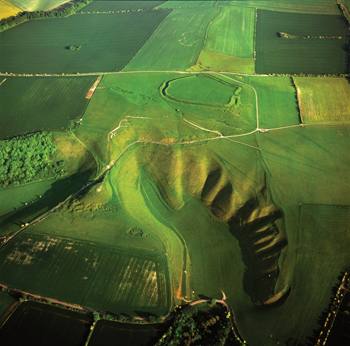 The entrance was a hillfort‘s weakest point, and the earthworks show different Iron Age strategies for defending them. Ramparts could overlap, be constructed in front of a gateway or turned inwards to create a narrow passage. One finds several of these in combination at Maiden Castle. The exceptional and influential archaeologist Mortimer Wheeler, who investigated Maiden Castle from 1934 to 1938 and whose conclusions have stood the test of time, found 22,000 sling-stones in a pit at the eastern gateway. The sling was the Iron Age weapon of choice. Easy and inexpensive to make from several thongs of leather, this simple but lethal weapon had a range of 200 metres to 350 metres though its effective, accurate range was about 60 metres. Unlike an arrow, a sling-stone’s final impact speed is close to its initial velocity and when fired from the ramparts of a hillfort, sling-stones could rain down on attackers like artillery fire, while the ramparts and entrance defences kept the attackers far enough away. Another 11,000 sling-stones were found in a pit at Danebury hillfort. The swords of the Iron Age were long slashing weapons, accompanied by shields of leather, sometimes overlaid with bronze, and spears. Whether these weapons were ceremonial or practical is open to debate, as is the level of violence prevalent in the Iron Age world. 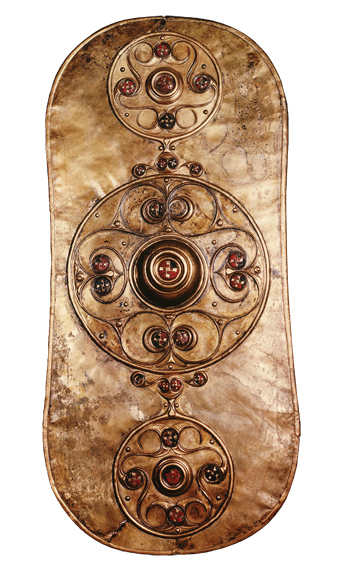 Many were thrown into rivers where they were subsequently discovered, the Battersea shield being a prime example. On the Continent marauding hordes were well documented by classical writers. Only when Caesar got to Britain in AD55 is the warlike character of the native population reported. The opponents Caesar faced at the end of the Iron Age were made up of foot-soldiers, cavalry and chariots pulled by ponies (11hh to 13hh), highly manoeuvrable and devastating to the close-formation, static Roman troops. There is also evidence of violent death from recovered bone samples. Breedon Hill in Worcestershire is infamous for the 60 headless bodies discovered immediately outside the inner gates by Mrs T Hencken in 1938, presumed victims of trophy hunting. At Danebury at least 10 young males were found with bone wounds and at Maiden Castle bodies of both sexes were found with very high rates of trauma, although outside the south-east there seem to have been fewer signs of such violence. Ritual sacrifice to propitiate the gods was endemic. Presided over by the druids, priests who had the power to intercede between man and god, sacrifice was commonplace among the Gauls and Celts of the Continent. How much human sacrifice was practised in Britain is open to interpretation. In Lindhow, Cheshire the skeleton of a young man was found in a peat bog. He had been killed three times, suffering a blow to the back of the head, strangulation and a cut throat. At Danebury hillfort bodies were found at the bottom of disused pits, probably with their hands tied together. Natural cause or ritual sacrifice is impossible to determine but, judging by what archaeologists believe happened across the Channel, it is would be foolish to dismiss the latter. 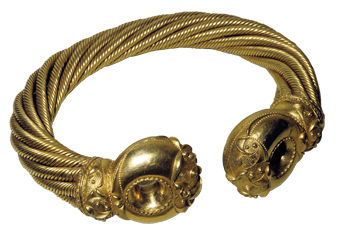 Artefacts also tell us the early Britons took care with their appearance: razors, mirror fragments, tweezers, pins and brooches as well as golden torcs (woven golden collars) have been discovered. the Iron Age really become explicable. Christopher Hawkes’ classic paper of 1931 termed these earthworks hillforts, unsurprising when one considers the military background of so many of the early investigators. Archaeologists have found evidence of housing and of ritual practices inside hill-forts as well as storage of large amounts of grain and weaponry, but the balance of these elements is difficult to determine. 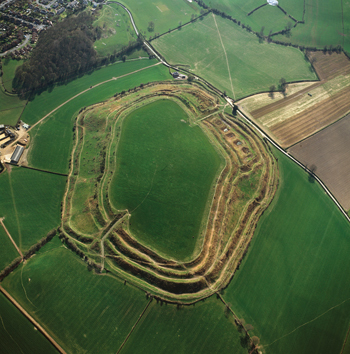 Many hillforts were built on earlier sites of importance and some went on to become Roman sites, or were re-occupied. They do not seem to have been positioned at random but with deliberation. 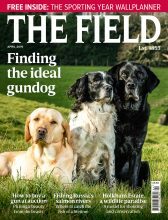 The notion of hillforts as monuments to an age of combat and competition has undergone a reversal over the past two decades. They were akin to public monuments, closely associated with grain production and the agricultural cycle, a community centre for the local Iron Age population, where the drama of ceremony and ritual could be played out. Recent archaeologists have tended to temper the past as it refers to Britain while considering warfare the primary motivation of the Gaulish hordes. There is no answer to the question of the of the hillforts‘ functions. Of the 34 identified in Dorset only five have been investigated and none entirely excavated. Hillforts are subject to the vagaries of agriculture and erosion. English Heritage (EH) is keen to improve both the preservation and understanding of hillforts and has undertaken significant research. Natural England works with landowners to preserve these monuments for posterity through the Environmental Stewardship Schemes it administers. The National Trust (NT) has 79 hill-forts in its ownership. 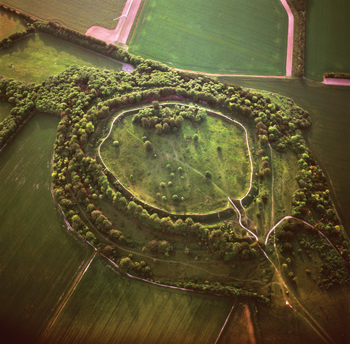 “Cissbury Ring includes a large hillfort and its associated field systems dating to the Iron Age and Roman period, an earlier, prehistoric flint mine, a Bronze Age bowl barrow, traces of later mediaeval cultivation, a post-mediaeval beacon, a Napoleonic advanced infantry post and a World War II anti-aircraft gun position,” says Guy Salkeld of the National Trust. Sites such as Burrough Hill went on to hold horseraces or fairs. The Iron Age was a time of massive change and the hillforts that grew up in this period show a strategic intelligence. Population boomed to an estimated four to five million by the time of the Roman invasion. This was no society of hunter-gatherers but a sophisticated population whose intensification of production, construction of vehicles and field systems suggest more than the pugilism of earlier interpretation. But whether they were sword-wielding warriors or quiet pastoral farmers, the Iron Age people and their forts remain an indelible part of our consciousness and landscape.